As you can probably guess from the title, I recently got my brows microbladed. It’s quite the buzz word for the latest in brow-fleekiness. What is microblading I hear you cry? Well, it’s best described as a sort of tattoo to the face… but in a tad less scary way than that. But in a similar principle to a tattoo, pigments are deposited under the skin using very small blades (micro blades even…) so they give the impression of hair, or the shadow that hairs create. Giving the same effect as having filled in brows, but on a semi permanent basis. So it doesn’t wash off, but it also doesn’t last forever and ever in the same way a ‘proper’ tattoo does. 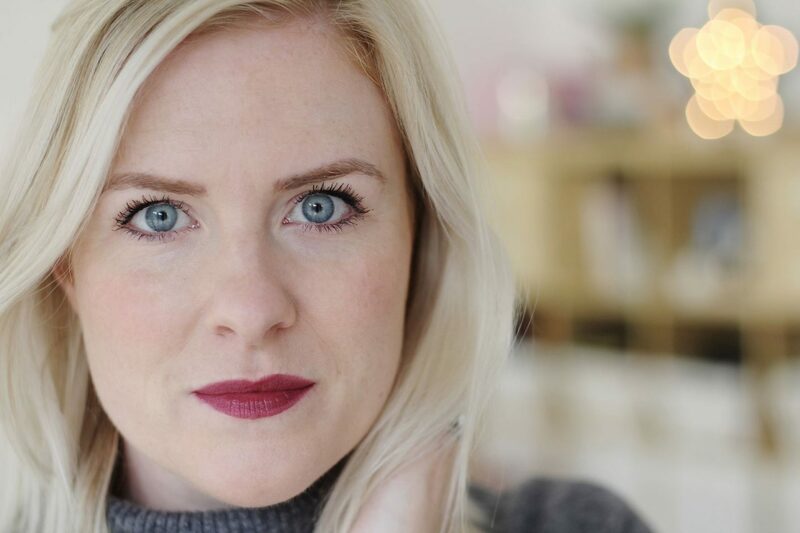 I had my Microblading Brows at The Beauty Boutique Hertford where I totally recommend, so let me tell you about the process and of course the before/after shots. Having moved to the outskirts of London now, I’ve been on the hunt for great local beauty salons to go for. Because one of my absolute favourite things to indulge in is salon beauty treatments. So when I was introduced to Beauty Boutique Hertford, I jumped at the chance to pay it a visit. It’s owned by Jen, who did my brows is an absolute top level pro when it comes to brows. She specialises in permanent and semi-permanent make-up and is really passionate about this area of the beauty industry. She is a Master Elite level and trained with Rebecca Chung who is a master trainer in microblading, so really does know her stuff and I knew I was in safe hands. I was bending her ear a bit about it and it really is such a trend – now more than ever – have everything from lip colour to your brows on a semi-permanent or permanent basis. 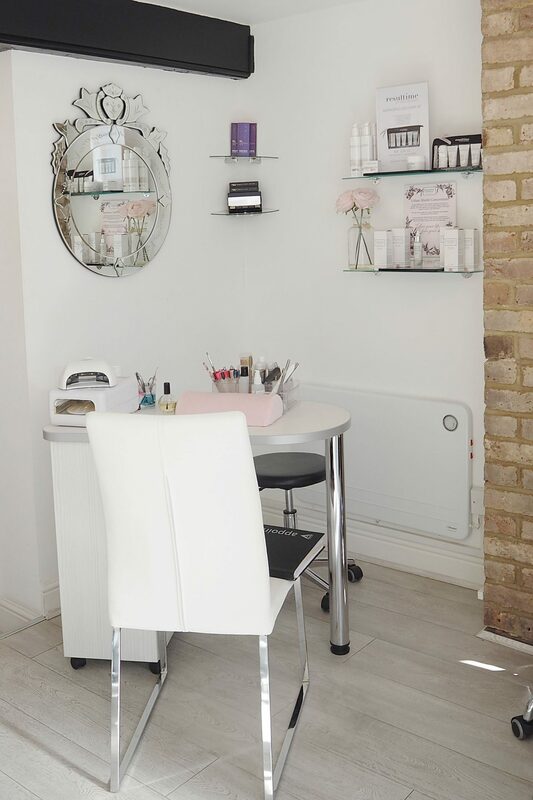 Just have a look at the Beauty Boutique instagram to see a huge selection of really good before/after shots – the best way to see what to expect is via these examples. You can really get a feel for the sort of finished look before you even book in for your free consultation. The biggest question I got when it came to microbladed brows was does it look natural? Which was the first question on my mind when I was booked in to have the treatment myself. As someone who has naturally blonde hair (albeit highlighted) my brows are naturally very fair. I often get them tinted but it’s a very fine line between getting them looking good and going into the ‘too much’ category. So my biggest concern for microblading brows was that they would look harsh or un-natural. Jen was absolutely brilliant with this, very patient whilst I umm-ed and ahh-ed over shade choices and talked me through how it would go. When it was first done it would look quite dark, then get darker for a few days before gradually fading to a softer look. She recommended a darker shade for my first session but I was a wimp and went lighter. I loved the look but realised after a month or so it had almost vanished so when I went in for my ‘top up’ session – which has to be completed before three months post-appointment. I opted for a darker shade and love the finished look. It’s now been about three weeks since I had the brows done as a ‘top up’ (which basically ended up as a full appointment because of how much the palest shade had vanished and opting for a darker shade. I should note here, that there always is the option of the more dramatic/defined brow look – that’s the joy of there being such a shade choice. You can opt for what works for you and the look you want. If you want a more structured brow, you can go for that. But I would always recommend talking in detail with your therapist as they know the treatment inside out and will be able to advise on what suits your natural brow shape and style and as a result what look might work best for you. The other question I’ve mostly had is about the pain level. I can 100% say it’s not at all painful. Numbing cream is applied to the area so the worst feeling is just this sort of strange scraping sensation. If you have had a tattoo, it’s nothing like that. More like someone is scraping a metal instrument across your skin…which is exactly what is happening. Except you can only sort of feel it, thanks to the numbing gel. No pain at all, and I’m a total wimp. To get an idea of what it’s like, if you have one of those metal cuticle pushers, you can sort of scratch that across your skin in small (1cm) type stroke and imagine that sensation, but numbed… It doesn’t hurt AT ALL. Above – before treatment. Below – immediately after microblading treatment. I am so glad I went that touch darker. Especially after having my hair coloured again, so it’s as bright and blonde as I like it and I love the contrast of the darker brows with the paler hair. 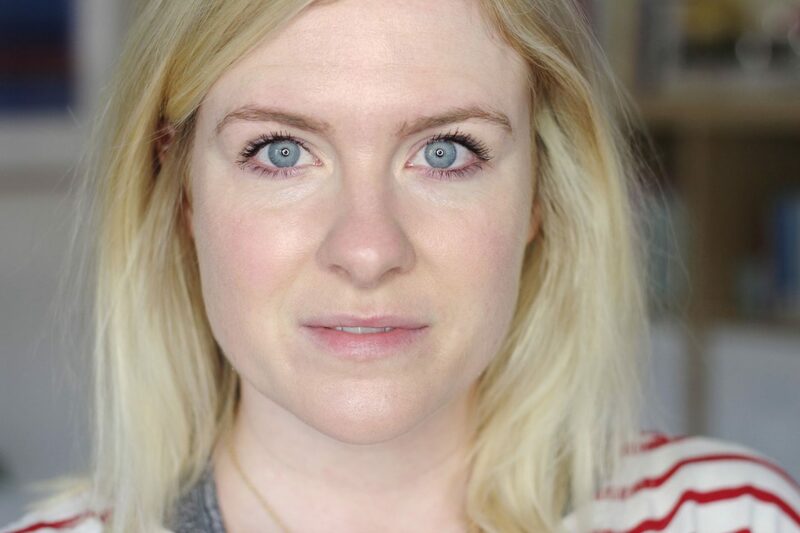 It does mean I tend to dial up my eye make-up a little more, using more liner or layers of mascara because the brows really make my eyes more of a feature rather than being lost as they could before when my brows were just their natural shade. I LOVE that I basically have to do nothing to make my brows look polished. Just keep them neat in terms of waxing/threading and comb into place. No filling out needed. The shade I had for my most recent microblading treatment is Hazelnut, if you’re interested. Immediately after (days 1-5 maybe) getting your brows microbladed is the only bit that I found a bit challenging. Because it goes darker in this time, that’s when I felt conscious because I wasn’t used to my brows being as dark. But having been through the process before I knew on round two that it wasn’t going to last too long and the finished result would be paler. The thing to be careful of is not cleansing the area too harshly and always applying the after care balm. You can use a touch of mineral make-up on the area whilst they’re in the healing phase to tone the colour down a little if you wish, but I opted to just let them do their thing and take care of them. My main bit of advice if your’e considering getting your brows microbladed is to take it seriously and look for a salon that really invests in training and performs the treatment to a high level. It’s a pretty serious treatment – you’re basically getting your face tattooed – it’s not something to take lightly or to approach on a budget. You want to go with someone who knows their stuff and you feel comfortable with so you get the result you hope for. Don’t choose based on who is the cheapest – it’s really not worth the risk to end up with dodgy brows being semi-permanently tattooed on your face if you opt to go somewhere with less experience or training. My other piece of advice is to follow the after care advice closely. You want to get the best final result and a lot of this will come down to how you look after them after treatment. Listen to the advice. Don’t over-cleanse them or apply make-up skincare until they’re healed bar the healing balm. If you’re in the Herts/Essex area I would strongly recommend checking out The Beauty Boutique in Hertford for your treatment. You will be delighted with the result – I certainly am. I love the finished result of my neat and ‘groomed’ looking brows that still look natural and not like I’ve painted them on. BONUS being I don’t have to do any painting-on at all! WIN. I’d definitely get them done again. Thank you to Jen at The Beauty Boutique Hertford for inviting me to have my brows microbladed by her expert hands! Oh wow!! Your brows look amazing, so natural! I’ve heard a lot about microblading but I’m too nervous to try it out. Brows look great, very natural. Seriously tempted! Thank you, I’m delighted with the result!